Patrick Recasens: Pullman Timi Ama Sardegna nestles along an idyllic bay overlooked by a XVI° C Aragonese tower. The surrounding vegetation is lush and Mediterranean, bordered by a natural salt lake and a white-sandy beach. The resort offers 275 rooms divided in classic, superior, deluxe rooms and four Suites. The three restaurants combine the traditional Mediterranean cuisine with the latest show cooking trends. La Veranda, located by the poolside, organises a theme buffet every dinner; ll Mediterraneo, at poolside, offers a light lunch, while I Ginepri, the seaside restaurant, offers light meals and the best of regional and national cuisine. There are also four bars, offering a wide range of cocktails in a friendly, relaxing atmosphere, and four conference rooms with capacity up to 350 persons. The Thalassotherapy & Spa Institute provides treatments from hydrotherapy to massages and beauty treatments. There is also a Fitness Centre with the possibility of a personal trainer. The hotel also offers a wide range of sport and cultural activities, while a mini-club and teen club are managed by a professional entertainment team. BTN: How about in terms of food and beverage? I understand this is part of the hotel’s offering you are quite rightly proud of? PR: Indeed, the food and beverage offer is one of our most attractive features and I’m quite proud of the variety and the quality of what we propose to our individual and group guests. Every year we develop new evening themes, new concepts and events in order to always keep the last trends. Different themed buffet dinners are on offer, with 14 different themes - from Sardinian to Asia, Mediterranean, and Italian – presented. These include a Vinoteca by Pullman Daily at aperitif, which lasts from 18:30 to 20:30, followed by a Luxury Spirits Corner, from 20:30 to 00:00. After this time a specific after dinner with a wide range of liqueurs, whiskies and cigars is available. Throughout the day, from 10:00 to 00:00, the lobby bar offers a wide selection of cocktails and appetizers to share unforgettable moments of conviviality. Local gastronomy is the speciality at Pecorino; including Sardinian sausage, herbs, olive oil and fresh products and fragrances during the aperitif. 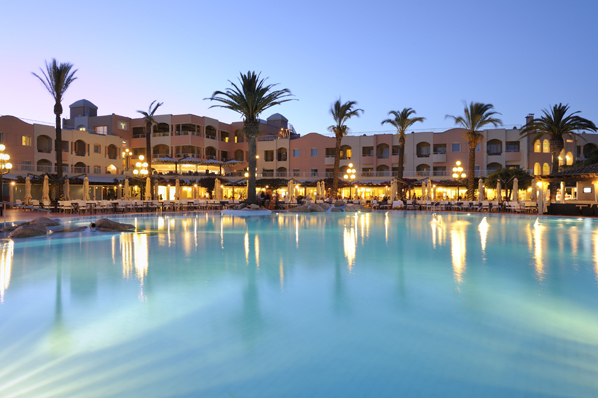 BTN: Can you give us a quick overview of what entertainment and activities are on offer at Pullman Timi Ama Sardegna? PR: At Pullman Timi Ama Sardegna, you can take in the stunning views of the salt lake and white sandy beaches from our large outdoor swimming pool and solarium. A wide range of excursions, sport activities and other events are available during the whole season. 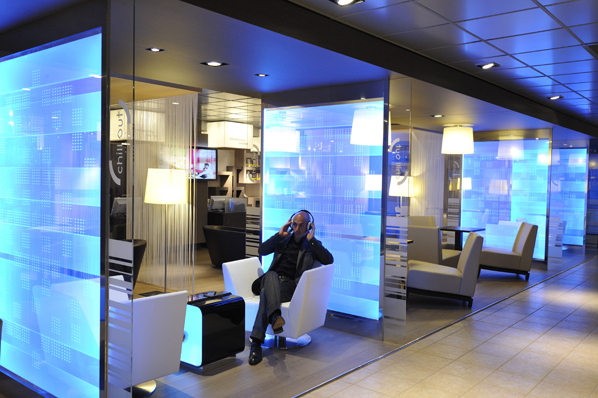 Our chill out entertainment team has developed a great program to answer all the expectations. During the day, beach volleyball, soccer, jogging track, health trails, archery, tennis, salsa, Zumba, kick boxing, Pilates, and yoga entertain the guests, and a variety or musical show every evening is followed by a music live band or a DJ. Scuba diving, golf, horseback riding, mountain biking, catamarans, windsurfing, paddle, snorkelling, and water skiing are all are available directly from our private beach. A large range of external excursions and visits in the surroundings archaeological sites can also be arranged, including Sette Fratelli natural park, Barumini UNESCO site, Cagliari City Tour and its old city, Nora punico-Roman theatre, sailing excursions to Cavoli and Serpentara Islands to admire the splendid panoramas of the Capo Carbonara Protected Marine Area. 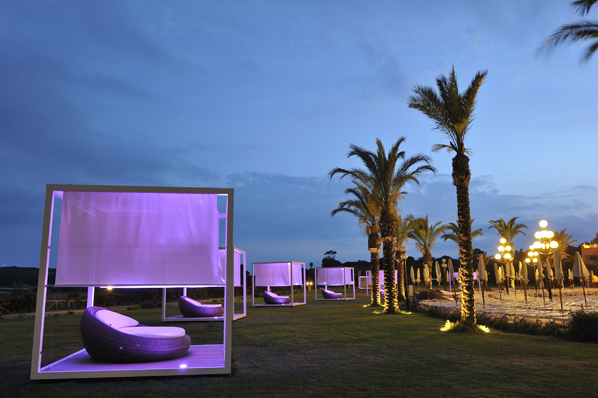 At Pullman Timi Ama Sardegna, the word “annoyed” is just unknown! Even if you just stay for a farniente program all day long, you will have all the leisure to have fun in the evening or not! You choose to participate or not as you propose what you would like to do and we just arrange your journey! BTN: Pullman Timi Ama Sardegna was recently recognised as the World’s Leading Island Resort by the prestigious World Travel Awards. Can you tell us how it felt to take that title? PR: We are proud and honoured to have won these three awards. They highlight the level of world-class excellence that our teams have achieved in their daily efforts to meet our business and leisure travellers’ wants and needs. Our facilities, technology and original activities make our resort perfect for sharing and exchanging, and also for organising business events or weddings. The matchless setting, great amenities, and ample choice of things to do explain why holidaymakers and families enjoy unwinding here so much. The awards that the Pullman Timi Ama Sardegna has earned mean a lot. It also means that we are meeting a great success in confirming an international reputation as a resort which could combine business and leisure following our clientele expectations. BTN: Will you be leveraging this title in your advertising at all, to win more guests from new markets? In every email signature, on our website, throughout all our advertising campaigns locally and internationally, on our social networks profiles to enhance followers to vote for us for 2014 new nominees. It’s a pride to be part of a so prestigious institution like World Travel Awards and most of all to be awarded for the four consecutive year. There is more on the property on the official website.